In the late 70’s, both Dave and Buster operated two neighboring, yet separate establishments. Dave’s concept focused on eclectic food and warm ambiance, while Buster’s concept focused on housing a boisterous crowd and fun games. These two soon became friends and opened what we now know as Dave and Busters! 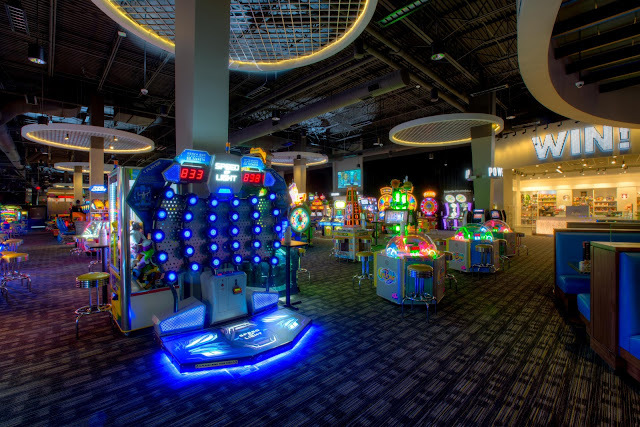 Dave and Buster’s has since become (in my mind) a place more suited for children and teens to enjoy themselves while parents stand by with money in hand. I had the opportunity to attend the grand opening for the “new and improved” Dave and Busters off Walnut Hill in Dallas, and found that my opinion has changed. The new look screams sports décor with large wall graphics of local teams and players, and new projector TVs include 65-inch plasma TVs and 80-inch LCDs for sports viewing. On the new menu are choices such as Pretzel Dog starters, all-beef franks wrapped in sweet pretzel dough, baked and served with habanero dipping sauce, and a Black & Bleu Burger, a half-pound of Angus beef seared with Cajun seasoning, topped with melted bleu cheese and frazzled and caramelized onions. For the kid at heart, there are snow cone cocktails: snow cones made with liquor and liqueurs mixed in fruit flavors. 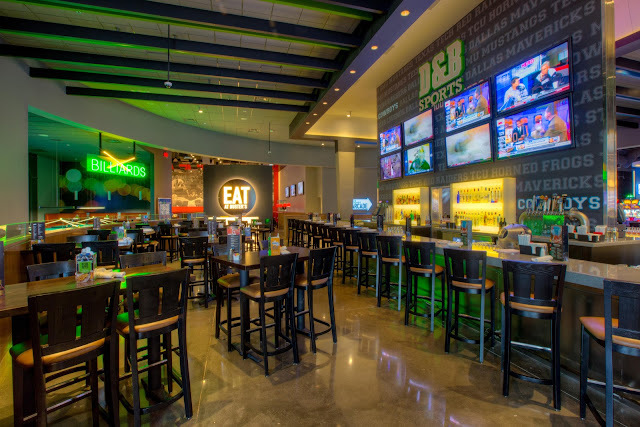 “Our goal is to be the ultimate destination for fun by pairing a comfortable atmosphere for sports viewing with fantastic new menu items, signature cocktails, and of course 10 new must-play games,” Jennifer Lasiter, Dave & Buster’s National Marketing Manager. Since revamping their image, Dave and Busters has not strayed away from their initial concept. It is still a fun-filled family establishment, and a place to unleash your inner child. 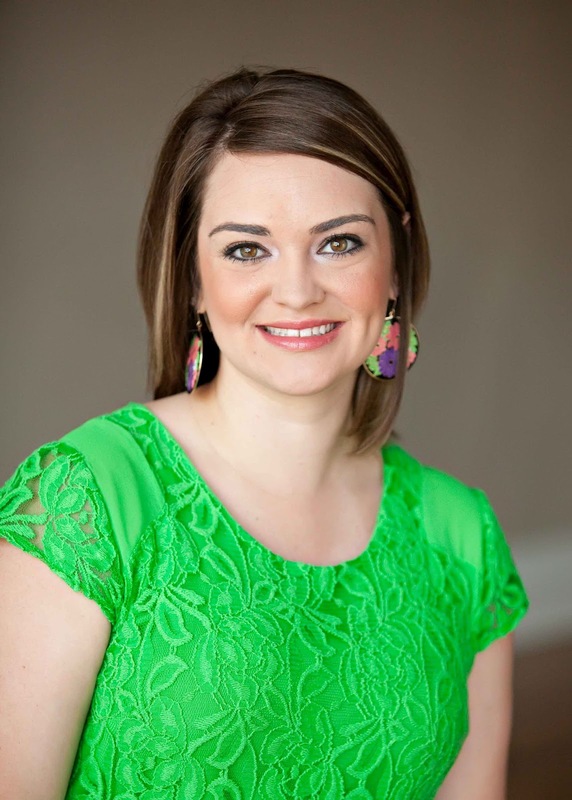 However, I feel as though their new image will also attract an older crowd who can enjoy catching up with a group of friends at the bar, watching a sporting event on the projector screens in the sports bar area, renting a private room for a birthday or special event, or skimming the gift shop with a handful of winning tickets…like me!